For great shelving offers with reduced prices and free delivery on bulk purchase of 5, 10 or 20 shelving units, look no further. Our discounted shelving units are suitable for residential, commercial and industrial use. 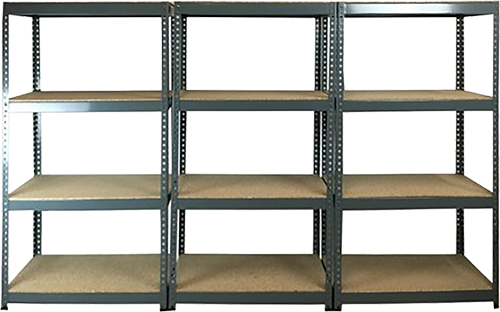 Boltless shelving units are convenient, durable and cost-effective storage solutions for use in homes, offices, sheds, warehouses, retail shops, and storerooms. The secure connection prevents the loosening that occurs in models assembled using screws and bolts and the shelving units are manufactured from high-quality steel for a long life and high stability.